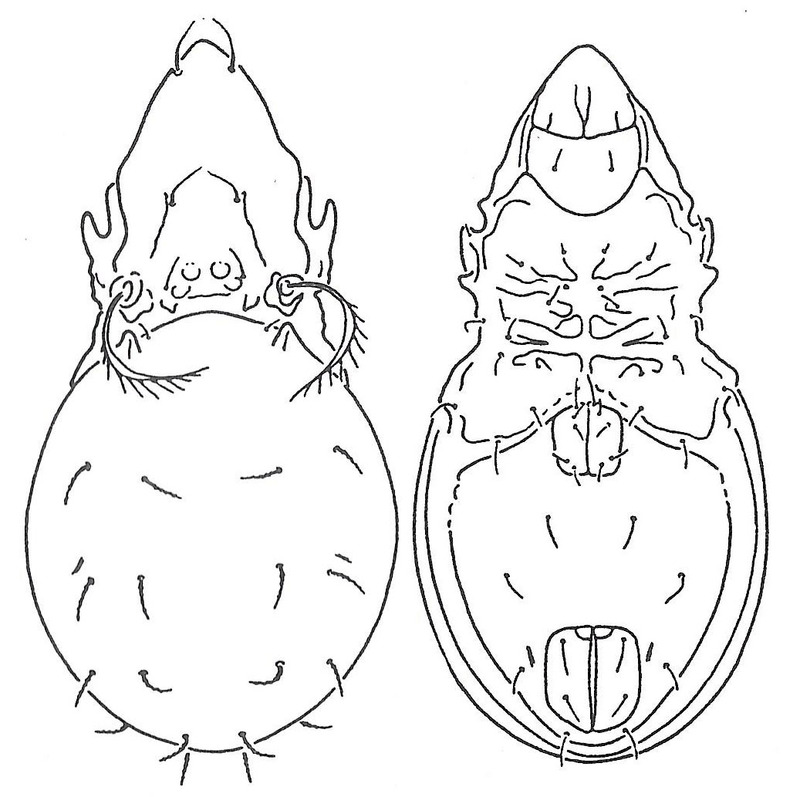 Dorsal (left) and ventral views of Oxyoppia spinosa, from Balogh & Balogh (1992). Oxyoppia is a cosmopolitan genus of oppiid oribatid mites with well-developed humeral processes on the notogaster. The sensillus is lanceolate-fusiform in species of the subgenus Oxyoppia sensu stricto, pectinate in Dzarogneta and fusiform in Aciculoppia and Oxyoppiella. Balogh, J., & P. Balogh. 1992. 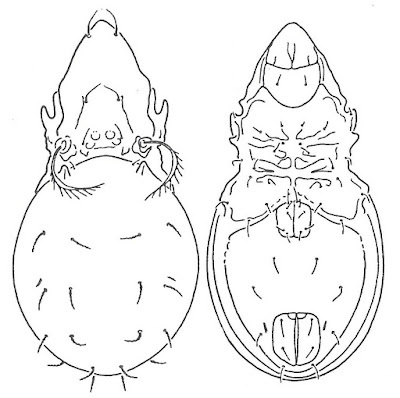 The Oribatid Mites Genera of the World vol. 2. Plates. Hungarian Natural History Museum: Budapest.